Quality meets value in this beautiful modern area rug. Handmade with Viscose and silk to prevent shedding, this braided area rug will enhance any home decor. 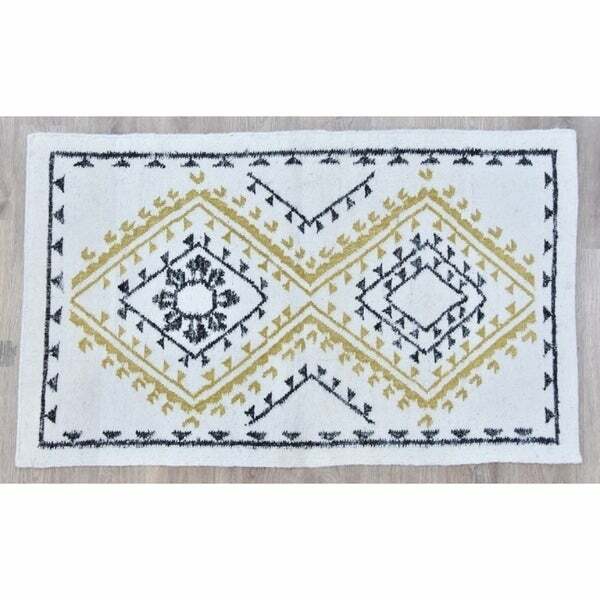 Features: 0.25 - 0.5 inch pile height Made with 40%WOOL+25%SILK+25%VISCOSE+10%COTTON Southwestern pattern Casual style Hand-made Beige, yellow and black colors Latex free Sizes available: 3'x 5', 5' x 8', 8' x 10' Tip: We recommend the use of a non-skid pad to keep the rug in place on smooth surfaces.